Working with small spaces can be challenging at times. Whether you are decorating a small house or a small room, there are tricks and tools you can use to your advantage in order to keep the space from feeling small or confining. Read on to learn about these tools you can use in any small setting! Light is your best friend in any small space. Natural and artificial light help a room feel larger and more open. In order to best use this light, leave windows uncovered to let the greatest amount of light into a space. If you do want window treatments, stick to cornice boards and valances. They will add interest to the window without impeding the light that is coming in. If curtains are a must, stick to using light or white colored sheers that will still allow light to shine through. When natural light is lacking, add lamps and light fixtures where you can. This will amplify the light within the space and assist the space with feeling light and airy. The worst thing you can do in a small space is make it feel dark. Let the light shine into your space! Using mirrors can quickly amplify the light that does exist. Creatively placing mirrors to reflect light back into the room, a small amount of light, either natural or artificial can bring light to any dark corner. If the entire home is small, keep the wall colors the same throughout. The space will feel more open and free flowing without the sudden stops of color changes. Varying paint colors will show how small the space is and make it feel even more boxed in. Stick to spacious-feeling light colors as well! Carefully consider the floor in your space. Does it also contribute to the flow through your home? Sudden transitions between floor types creates a dividing line that is not easy to work with. Instead, try to use a single floor type throughout the home. Wood-look tile can be installed anywhere, even bathrooms and kitchens. 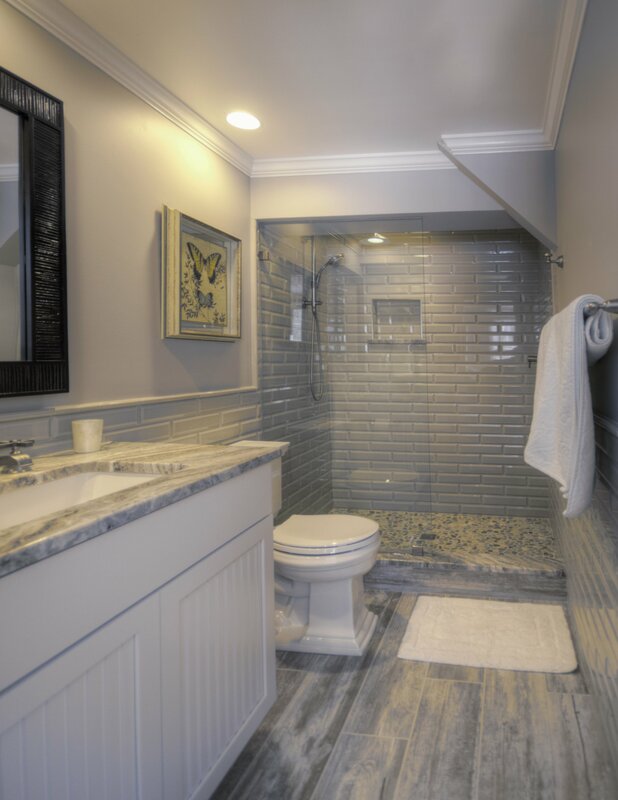 This tile doesn’t mind the moisture or even spills! Use it in the kitchen, bath, bedroom, or entryway. The single style in the home will give the feel of continuation. If you need ideas about how to make your small space feel more spacious, stop by one of our locations and talk to our showroom consultants. We are always happy to help!